When it comes to applications, Windows and Mac offers a huge variety of choices to its users. However, when it comes text-editing applications, Linux beats those two platforms hands down. Not only does Linux provide a huge variety of quality text editing applications, it also makes sure that their source code is available for everyone. The reason behind this is the fact that Linux, as an operating system, has more developers using it than the so-called “normal” users. That said, the massive progress that Ubuntu has made in the usability department has made the text editor a tad outmoded. People usually prefer using word processors like LibreOffice or AbiWord for most of their office work, making most text editors a developer-only tool. Whatever be the case, the massive amount of choice users have in this department has left many new users a bit confused. To remedy that, here we are again with a list of the creme de la creme of text-editing applications for Ubuntu. 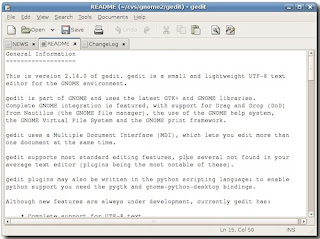 Gedit is the only text editor you’ll need if you’re a casual user or even let’s say a hobbyist programmer. The application has been around for a long time and its stability is something that cannot be outmatched by many other apps in the genre. 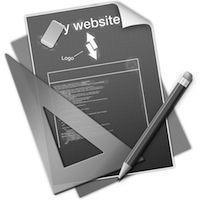 The sleek and clean text editor lets you code or write in a nice, customizable interface. 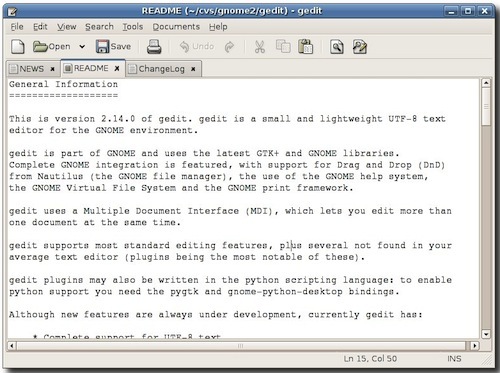 Though Gedit's simplicity is enough to make a notepad lover green with envy, is powerful under-the-hood features make it stand out from the rest of the crowd. Furthermore, Gedit lets you add more features by enabling some great plugins that come with the default install. And finally, if you’re a coder, then Gedit comes with code highlighting and some cool plugins that will make your life much easier. 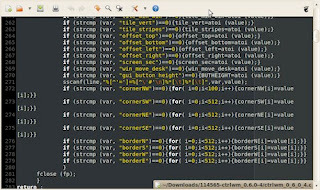 Especially designed for programmers, TextAdept is a simple, lightweight text editor for Ubuntu. With a minimalist design, the open-source app comes with support for Java, Python, Ruby, and a bunch of other programming languages. Scribes is another one of those minimalist text editors that never ceases to amaze. Apart from syntax highlighting and snippets support, Scribes also comes with features like automatic indentation, autocorrect, remote editing, and plug-in support. One of the most appealing things about this app is that it doesn’t have any toolbar or menubar, thus letting you focus just on your code or text. However, you won’t miss out on your most-needed menus and buttons, as the essential toolbar can be revealed by simply hovering over the top right corner of the window (Yep, more or less like Unity’s launcher). 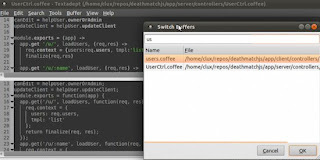 To install scribes, you have to first add the scribes ppa to your repository list. Since being in heavy development the app is not that stable; so, expect some breakage here and there. Sublime Text 2 is quite simply one of the most beautiful-looking text editors around. The UI is simple, clutter-free without any unnecessary menus whatsoever. That said, don’t let its good looks lead you into thinking that the app is just another text editor. 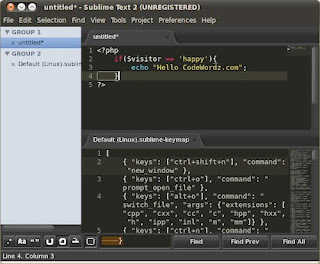 Quite contrarily, Sublime Text 2 is a text-editing powerhouse which, once installed, will make your coding/writing a whole lot productive. The app features an amazing code-completion feature, which is perhaps the best I've seen on any Linux application. Another great feature is the Ctrl+P combo, which, once invoked, will give you a swift way to search through all your projects. Also, thanks to the tabbed interface, you can work on multiple files at once. Finally, before you bicker about the issues you faced after you downloaded the app, it’s important to remember that the app is still in beta. Oh, and much to the disappointment of many coders, the app is not open source and requires you to shell out $60 for a license. 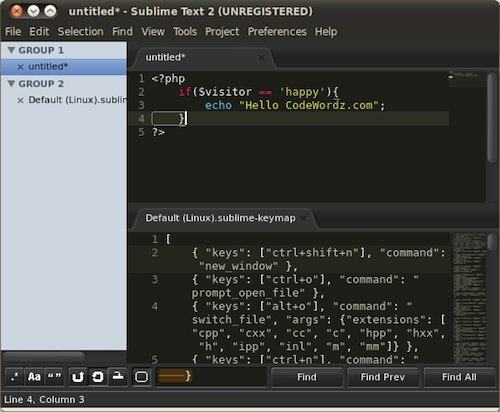 But if you’re searching for the perfect text editor on Linux platform, you won’t mind shelling out the dough. To install, simply type in the following commands in your terminal (Ctrl+Alt+T). Note: The one you’ll install is a trial version. no vim??? no kate, kwrite, emacs??? For TextAdept you say, "However, the lack of essential features like print menu makes it unsuitable for daily use." I don't know about you but I sure don't print my code everyday. I fail to see how that backs up your point on making it unsuitable for daily use. 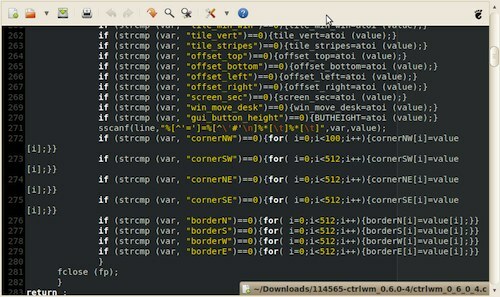 You should read more about text editors in linux.